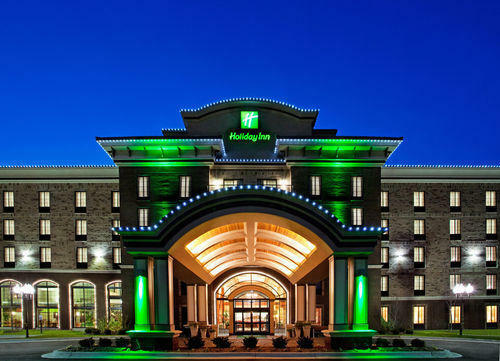 Midland, Michigan’s premier hotel, the brand new full service Holiday Inn of Midland is convenient to access off Eastman Ave. and US 10. 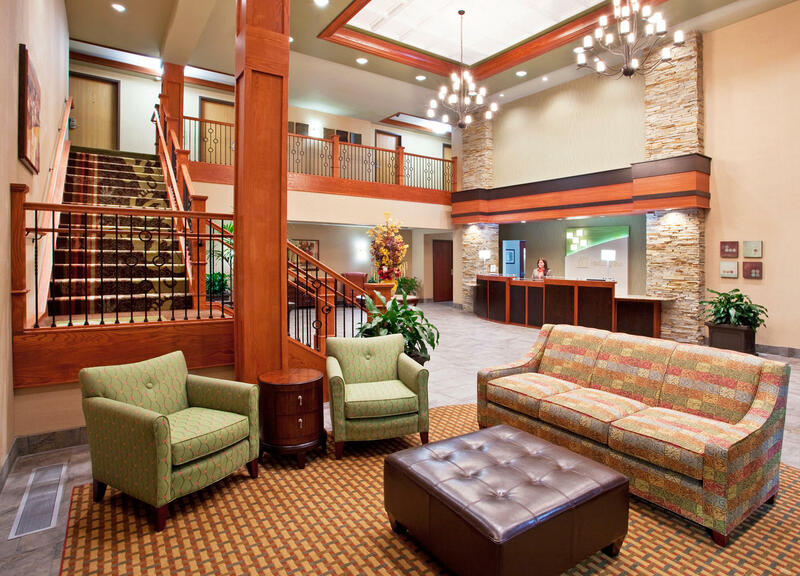 If flying into the area, we offer complimentary shuttle service from MBS International Airport. 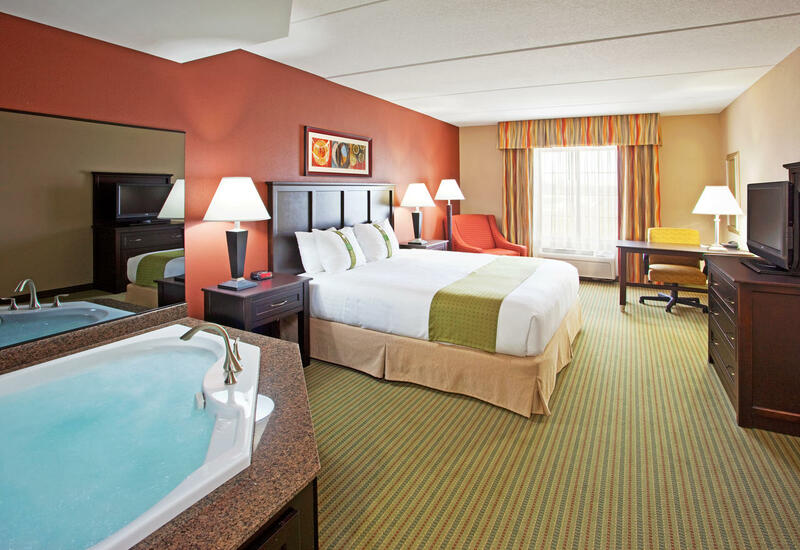 This Midland, MI hotel features a variety of room floor plans that includes in-room whirlpools and a family favorite: rooms with three queen beds. 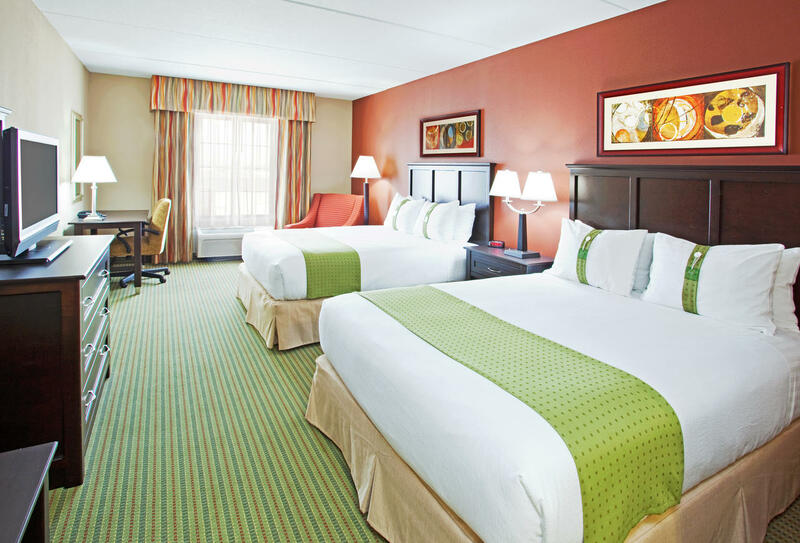 All rooms offer microwaves and refrigerators, as well as free wired/wireless HSIA. 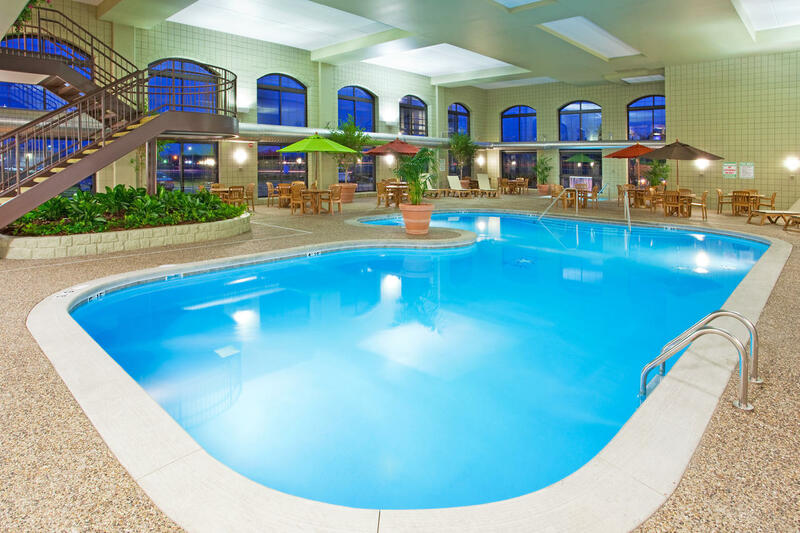 Kids of all ages will enjoy the over-sized indoor recreational area with a Michigan-shaped indoor pool, indoor/outdoor spa, game area, and a 24-hour fitness center. Pull up a chair and watch your favorite sporting events at our full service sports bar and grill, Big E's. 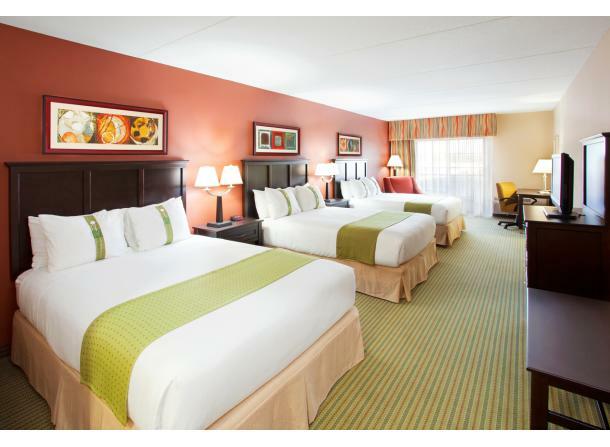 Enjoy a wide range of menu offerings seven days a week for breakfast, lunch, dinner and beyond. Have a special event? 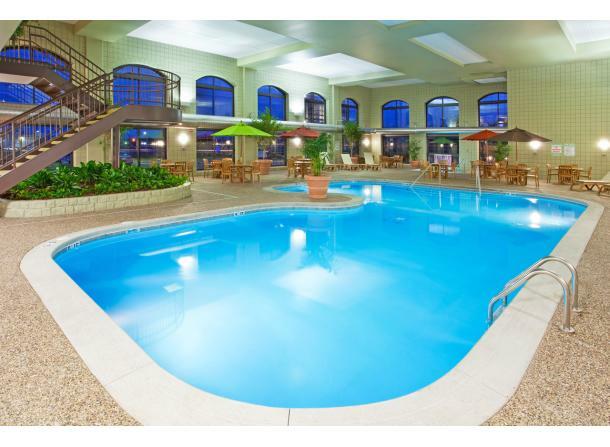 Our banquet facility is well-equipped to handle anything from the smallest to the largest of gatherings. Midland is home to: Dow Chemical, Dow Corning, MidMichigan Health, Northwood University, Consumers Energy and Quad Graphics Inc. 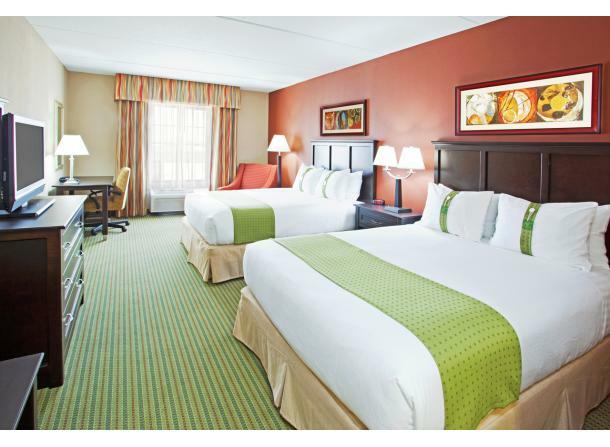 Enjoy shopping adjacent to the Holiday Inn – Midland at the Midland Mall. Leisure venues include: Midland Center for the Arts, Dow Gardens and Loons Baseball at the Dow Diamond. 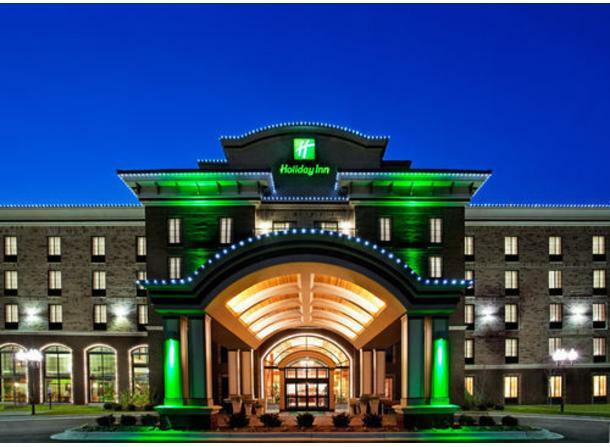 Visit our Holiday Inn – Midland, MI – the only Midland hotel offering IHG Rewards Program. Monday: 6 a.m. - 12:00 a.m.
Tuesday: 6 a.m. - 12:00 a.m.
Wednesday: 6 a.m. - 12:00 a.m.
Thursday: 6 a.m. - 12:00 a.m.
Friday: 6 a.m. - 1:00 a.m.
Saturday: 6 a.m. - 1:00 a.m.
Sunday: 6 a.m. - 12:00 a.m. 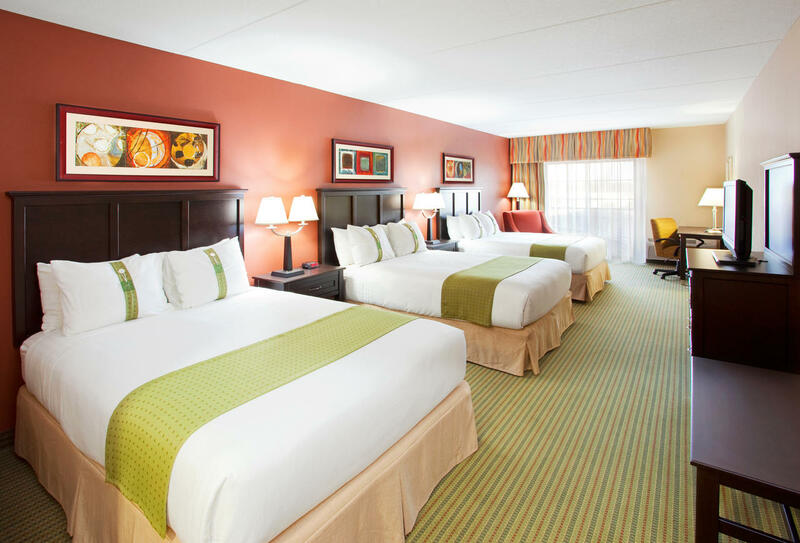 Description: At the Holiday Inn, the delight is in the details, and we always consider them one of our highest priorities. We have state-of-the-art meeting rooms that provide for outstanding corporate meetings and events in Midland, Michigan.